Successfully Added High-Quality Mini Sport Headset with Microphone - Bluetooth V2.1+EDR, CSR Chipset, 10 Meter Operation Range to your Shopping Cart. Stereo headphones have been around before even the first Sony Walkman, that's a long time to put up with tangled wires while listening to music on the go. 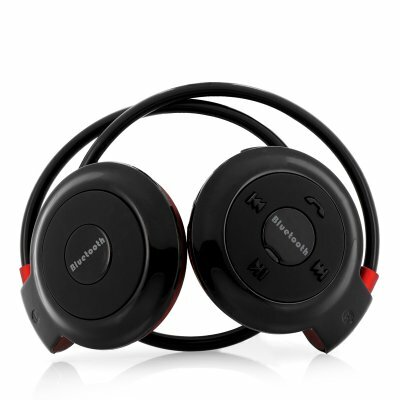 Luckily, Chinavasion has a simple wholesale solution with these stylish designed Bluetooth headphones. They're convenient for any situation where you don't want to deal with dangling cables especially at the gym or when out for a jog, as well in general as well. Very fast delivery. I have received my order 3 days after my payment. Packaging is also very nice. ( thick and hard box, neatly wrapped with a clear packaging tape ). Chinavasion's customer support representative helped me right away when i asked them that i had a mistake with my shipping details. This is my first order.. And im impressed with the product , shipping and customer service. One very happy customer here. ^^. this is my first order and this is NOT gonna be the last.